Most people think of barbed wire only as protection against unwanted access to a space. A little imagination, however, transforms this jagged metal into something truly beautiful. 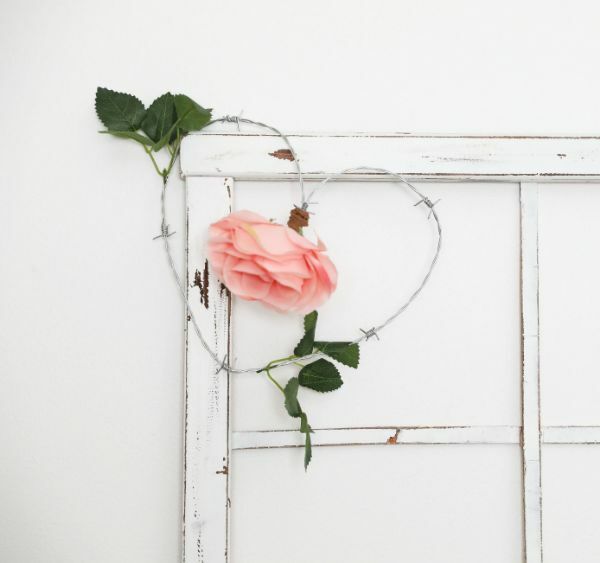 A barbed-wire heart comes together quickly, and faux flower and leaf accent pieces can add details to match your decor. A barbed-wire heart is simple to create, but it requires the right tools — protective gloves, pliers and wirecutters — to ensure safety and success. With only a little shaping, you can place this on a wall or shelf (where little hands can't reach it) to spruce up your home in a most unexpected way. 1. Cut 6 feet of barbed wire from a bundle with wirecutters. Protective gloves will help you avoid cuts and scratches. 2. Fold the length of barbed wire in half, and use pliers to twist 4 inches of the ends together where they meet. 3. 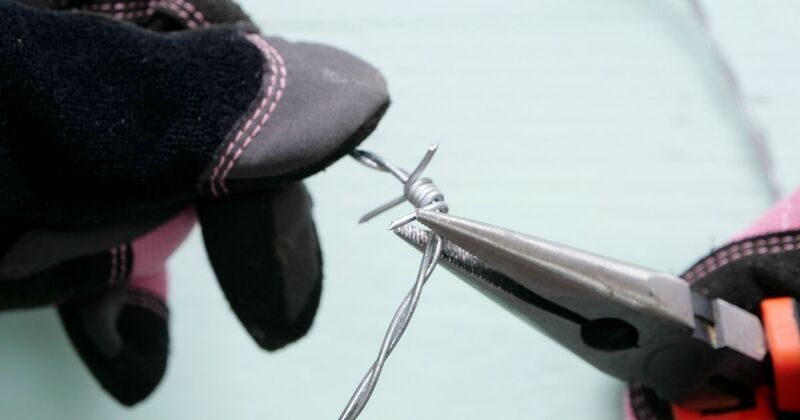 Use pliers to shape the barbed wire into a heart using the twisted ends as a center point. 4. Hot-glue a set of faux green leaves to the upper right side of the barbed-wire heart. Attach the second set of leaves to the lower right side of the wire. 5. Hot-glue the stem of a faux rose blossom to the center point of the heart, positioning the blossom to face down toward the ground. 6. Turn the barbed wire heart over and hot-glue the end of a 6-inch leather cord to the back of the faux rose blossom stem. 7. Continue to wrap the cord around the stem and barbed wire until the cord meets the base of the flower head. Hot-glue the end of the cord to the base of the flower head, and cut away any excess material. 8. Turn the barbed-wire heart over and display on a wall or shelf.